Ashley Simone straddles both sides of the camera as producer and talent. At age four, she fell in love with dance and being seen on the stage. She was trained in dance at the Academy of Movement and Music (in Oak Park, IL) and then went to study at Marymount Manhattan College and Columbia College Chicago. At 21, she ran off and joined the circus and toured as a dancer with Ringling Brothers and Barnum and Bailey. She has performed on stage and on-camera a variety of roles, many of which included dancing. She has also produced three shorts films and a feature-length documentary. When she is not performing or producing, she’s probably cooking up a storm. Since childhood, she’s had a passion for food, always experimenting and trying new dishes on loved ones. She recently finished her degree in culinary arts at the Illinois Institute of Art-Chicago, writes a cooking blog and is working on her first cookbook. Foodgasm is her first cooking show. 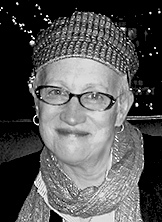 Etta Worthington is a writer turned filmmaker. With a background in journalism and creative writing, she decided to tell stories in a visual format and has been writing, producing, and directing films for the last several years. This year she completed “50 at 50,” a feature-length documentary about midlife, change, and facing fear. She wrote the screenplay for “Promise Land,” and feature about immigration issues, and co-produced the feature “Jamie and Jessie Are Not Together.” She also writes a blog and teaches film and television classes at Columbia College Chicago. 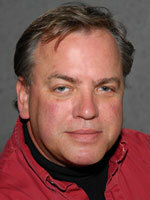 David L. Strzepek has been in the promotions industry for over 23 years. He has a passion for people and their projects. Often credited as the "behind the scenes" strength to many organizations, including Community and Economic Development Center (CEDA), The Walter and Connie Payton Foundation, Ripe Fruit Films, and the Michael Rolfe Pancreatic Cancer Foundation to name a few. You can be part of Foodgasm, too!